History – Kern Steel Fabrication, Inc.
Elwood Champness founder of Kern Steel Fabrication (KSF) began his career in the late 1950’s as a concrete salesman. You might ask how a concrete salesman becomes involved in steel fabrication? It all started when Champness determined he could go no further in the concrete business and decided to build homes on the weekends. This led to a partnership building tract homes. The partnership started a new company, Kern Craft Products, which served as a supplier to contracting business’. Later the partnership dissolved and Champness kept the supply business going selling construction supplies to other builders and contractors. Soon some of Champness’ cusomers needed steel stairways and hand railings, so Champness found a way to supply them. He fabricated them and KSF has been growing ever since. Champness’ children have taken over the business. They continue to pursue the same goal their father had: fabricate steel and fabricate it well. 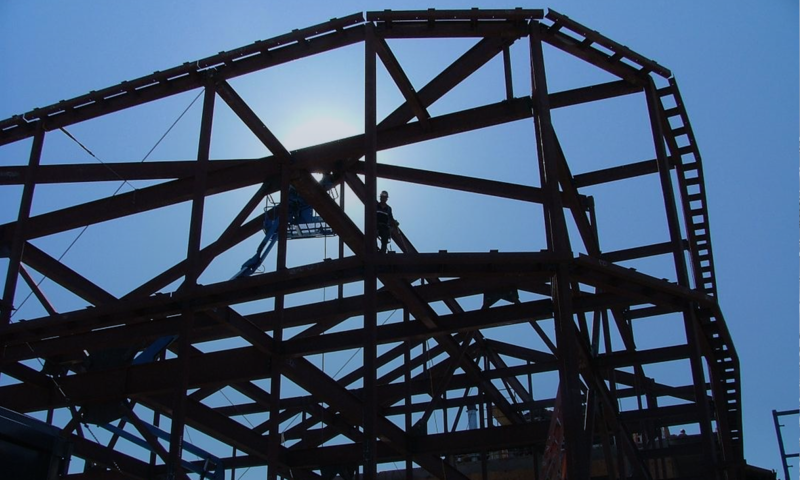 Today KSF is one of California’s best steel fabricators thanks to Champness’ ingenuity.